This apple cake with caramel frosting is perfect for fall. 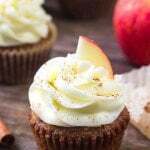 Filled with cinnamon, brown sugar and tart apples – then topped with salted caramel frosting for the perfect treat! Today I’m sharing this incredible apple cake with caramel frosting over on Oh Sweet Basil. I was feeling especially autumnal so anything with apples and cinnamon seemed like a very good idea. But because I wanted it to be extra fall-like, it’s frosted with delicious caramel buttercream. 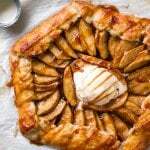 The apple cake itself is so delicious because it’s moist and filled with fall flavors. It has a spice cake flavor because we’re using cinnamon, nutmeg, lots of vanilla and brown sugar. Then it’s extra moist thanks to using oil, 3 eggs & sour cream. 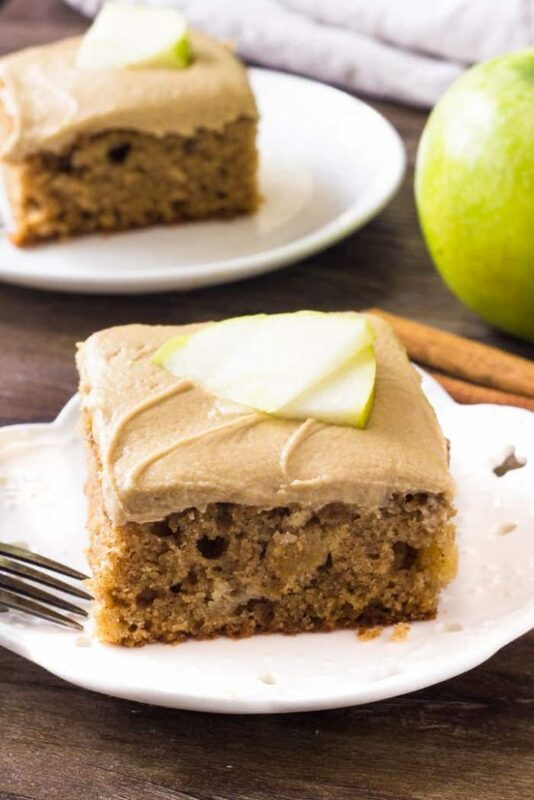 There’s tasty little bites of apple throughout the cake which goes so perfectly with the cinnamon flavor. While the apple cake is delicious on its own – I’m pretty obsessed with the caramel frosting. It’s creamy, sweet, completely delicious, and has such a beautiful caramel color. It’s definitely sweet (caramel can’t really be any other way) so you don’t need a whole lot. 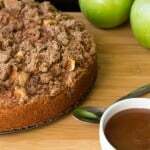 But it turns this apple cake from delicious to out of this world incredible. This apple cake with caramel frosting is so delicious and perfect for fall. So head on over to Oh Sweet Basil to get the recipe!